With paint-brushes, patience, style, skill, wit and passion, San Francisco decorative artist Michael Dute conjures up exotic worlds on the walls of his Berlin apartment. I first met the artist more than twelve years ago when I published his chic summer tent (yes, tent) pitched beside a lake in Sonoma County. 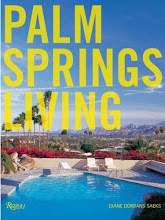 Later, I published his apartment in one of my books. I always found his work technically thrilling, his approach that of an obsessed perfectionist. “I wake up and I’m in China or Pompeii or eighteenth-century France,” said Dute, who now lives in Berlin. 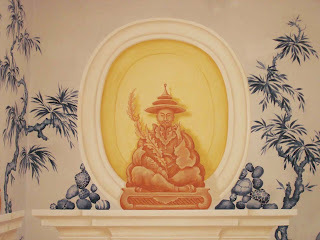 He specialises in interiors inspired by 18th-century European architecture, Chinoiserie, and invented decor. During the week, Michael Dute paints luscious murals and glamorous rococo-inspired decorative wall panels for interior designers and private clients all over the map. But after-hours he paints only for his own pleasure. Two years ago, Michael Dute airlifted himself to Berlin—to be inspired, to see art, to feel the energy of the city. Then, restless artist, he got to work on his house. Painting for hours a day, and often for weekends at a stretch, Dute executes his murals, ceilings and painted woodwork in the minutest detail, down to the frothy waves on lively seascapes, the belts and ornamentation on Chinese robes. Come and visit Michael Dute (pronounced do-tay) at his Berlin apartment, and be inspired by his work in progress. DDS: After twenty years in San Francisco you bought I great flat in the German capital. MD: I was looking for a new blank canvas and an adventure. I packed it in, got rid of everything I owned and moved to Berlin exactly two years ago. I enjoy traveling often between the two cities. From my perspective, Berlin has the culture, San Francisco the style the suits me. I find Berlin to be immensely stimulating! There is a massive art scene going on. DDS: How did you get started? MD: A simple concept has evolved into a bit of an extravagance. I have big European rooms and high ceilings and well, I am painting my European rooms in Europe! That stimulates me. 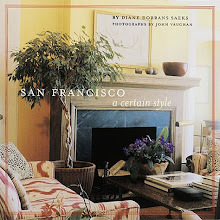 DDS: You were so successful in San Francisco, and all the designers loved your work. MD: I love Berlin. I see my painted interiors as worlds unto themselves and I had an irresistible opportunity to create something new and great in Berlin. I also love learning a new language and culture. It is endlessly fascinating. DDS: Winter and summer, you are painting. MD: One of the first things I ordered through my architect was a sturdy rolling scaffold so I could get right to it. I paint every day. I have great friends here and I ride my bike as often as possible. When I need them, there are plenty of distractions. I am now going for Barock—or Baroque in French—nine-foot-tall porphyry obelisks in alcoves, swirling purple marble columns, gilded palms surrounding a Chinoiserie dream-scene, inlaid marble wall panels. I'd say I'm about halfway through the project. DDS: Then you framed up the beautiful Chinoiserie murals. I love the soft palette you've worked in here. MD: The gilt-work is barely underway. I need to add all manner of highlights and so forth. I will also add a Chinese-red fretwork line on the Green Scene. There will be figures in the corners, massive figures atop the brackets depicting the four continents (luckily they only considered four continents in the seventeenth century). DDS: Chinoiserie...wow...you’re the master. It's dazzling. 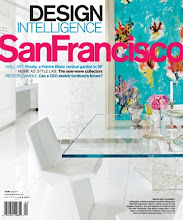 MD: I had a pink Chinoiserie entry hall in San Francisco. I wanted blue this time around. I wanted blue and white on a much larger scale. In fact, my apartment in Berlin is a study in blues, a reflection of the sky. Here I used a soft greyish-purple as the "white" background, something I noticed in a book on Baroque murals. DDS: I see great delicacy and technique for the finest details. Leaves, faces, pagodas, up close, the refinement of your paintings is glorious. MD: I’ve included many hidden details for fun. My entry hall is tiny but I could spend hours in there taking in the details without being overwhelmed. Personally, I like it all a bit trippy. DDS: It looks as if you're living in a country chateau (or Schloss, since you are in Germany). MD: My concept here is really a glorified tree-house, a Baroque hide-away overlooking the park. Berlin is really green and I love the sky and the gardens and the forests. They have a huge influence on my interiors here. DDS: Your dreams and dedication create this beauty—but my readers are wondering what paints you use, what brushes, materials? MD: It is surprisingly difficult to find decent materials in Berlin. I use whatever I can get my hands on, whatever I can pedal home on my bike—acrylics, cheap brushes. I make stencils out of acetate to block-in repeat patterns then go over them by hand, usually three or four times to add the shading and highlights. I never let materials (or the lack of) get in my way. DDS: Speaking of art techniques, how long has it taken you to (almost) complete these rooms? MD: I'm actually pretty quick. This comes from years of experience painting on-site for clients. My own work takes a bit of time as I always like to pull out all the stops. Hmmm, entry hall, a couple of months, kitchen ceiling, a few days, living room, or Wohnzimmer, off-and-on for a year, I suppose. It's rather elaborate. DDS: I know you love Bronzino portraits, and look to Italian Renaissance painters for their technical expertise. Which artists have inspired you with this project and other work? MD: I've been referencing Italian murals, Tiepolo, but a great source of inspiration has come from Christies and Sotheby's auction catalogues. 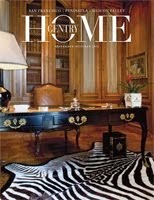 I examine the collections of Karl Lagerfeld, Jacques Garcia, Monsieur de Givenchy, Chateau de Groussay. Fancy stuff. 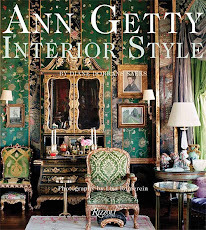 Oh yeah, Ann Getty's interiors come into play as well. DDS: What about the Chinoiserie? MD: J'adore Chinoiserie! I’m so impressed when someone enters my apartment for the first time and says "Oh...Chinoiserie!". They get a check in the plus column for that. DDS: In Berlin, you're so lucky to be able to head over to the Altes museum, or the Pergamon, and so many art treasuries. MD: I also love the Schlösser, the palaces. Park Sanssouci in Potsdam has a number of great ones, Schloss Köpenick in Berlin is a gem. Right now there is a big show "The Faces of the Renaissance" at the Bode Museum in Berlin. Sigh. DDS: What about your dog portraits. They have such character. MD: They're me...trying to make it on the mean streets in a foreign land. Heh-heh. My latest works on canvas are extremely telling! I'm always looking to try my hand at something new. As much of an interiors freak that I am, I am trying my hand at works on canvas...paintings that stand for themselves, that are not merely decorative. I guess my latest work is all pretty much autobiographical. Somewhat dark and humorous, life in Berlin. Heh-heh. MD: I love working in California. I have a beach-house project in Capitola on Monterey Bay, as well as painting for my favorite client in Belvedere. I’m looking for great designers with whom to collaborate and it would be great to find a gallery in California. My plan is to continue to travel back and forth between Berlin and San Francisco. The best of both worlds. DDS: Michael, thank you so much. Your work is thrilling and I admire your dedication and artistic expression. Continued good luck with everything. Michael Dute’s artistry would have done Louis XVI or Gustav III proud. It is all the more impressive to discover that Dute has never studied art. 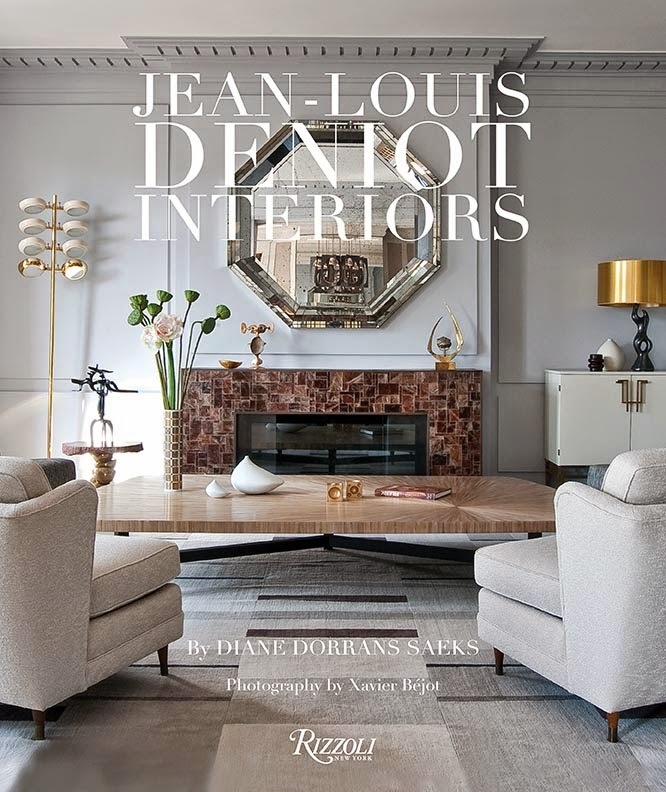 “I arrived in San Francisco in 1989 from Philadelphia and I didn’t even know I wanted to be a painter,” said Dute, who had previously designed fabrics and crafted ceramics. 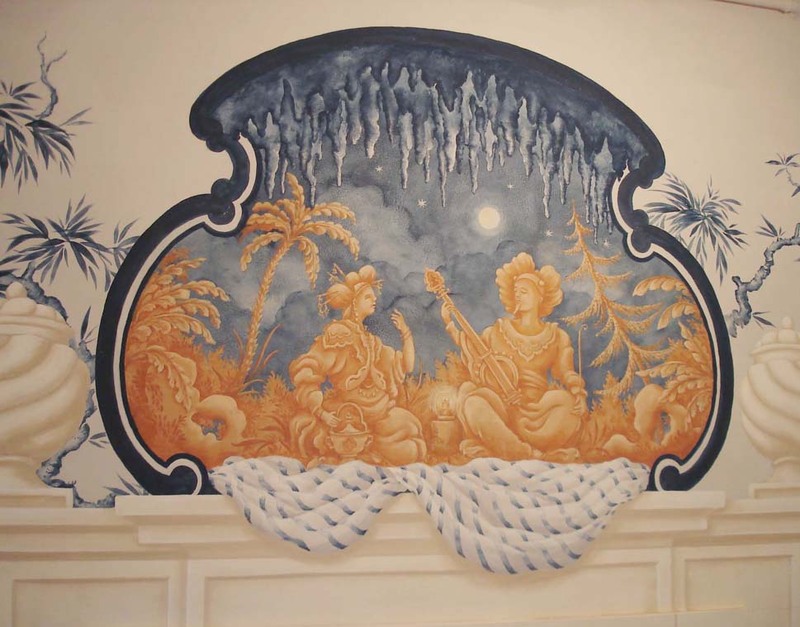 Fortunately for Dute, the artist was the magnanimous Carlo Marchiori, a world-renowned master muralist and decorative artist who lives in Calistoga. 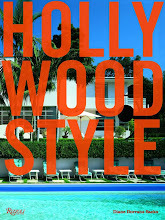 Click here to see Carlo Marchiori’s Painted California Villa. 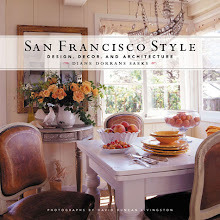 Michael Dute’s decorative rooms have been published in 'San Francisco Interiors' by Diane Dorrans Saeks (Chronicle Books) and 'San Francisco Style' and 'California Wine Country' by Diane Dorrans Saeks (Chronicle Books) as well as The World of Interiors, House & Garden, Elle Decor, PaperCity. 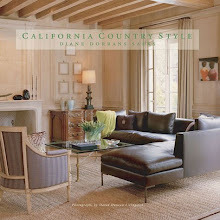 All photos of art and interiors by Michael Dute. Thanks for this Diane! It's great to catch up with Michael. His work and dedication are an inspiration. Although hard to choose a favorite, I am particularly fascinated by the blue & white hall! Fabulous, all! I am blown away with the imagination flowing from this man.. the skill and the dedication... I appreciate so much you presenting this blogpost... thank you! 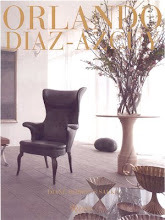 I love to hear from all the artists and decorative arts insiders among my readers. Scott and Lynne--you know Michael's work well, and fully understand the perfection and devotion he brings to his work. Be sure to arrange a visit. He will be weeks and months further along with the project--this work is all incomplete and I'm happy that even so he allowed me to exclusively publish his work. John-love your message. Just sent you a comment. I love your features on La Fiorentina. Gwen in New Brunswick--I am so happy to hear from you. Delighted. 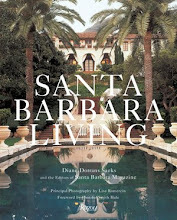 I have yet to see this VILLA in CALISTOGA.......must put it on my to do! A very talented man.Thanks for sharing him. Your blog is the best out in the blog world.. The fact that most of the time I have not heard of these individuals before reading about them on your blog shows that you are truly unique in a world of copy cats..
LOVE this! I would cherish a fraction of one of his works on a wall in my home! Thanks for sharing! 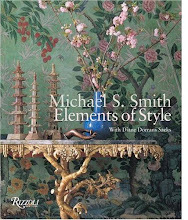 This was exciting to see - I love his full-on passion, that he is "going for Baroque" and J'adores chinoiserie." 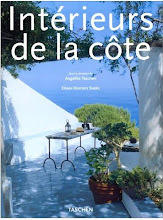 I loved looking these delicious fantasies, the remarkable Dog paintings, and those Mittel-European domes resting on the cabinets...all so inspired. This was a real pleasure. What gorgeous work Mr. Dute does. I find the monochromatic blue Chinese scenes exquisite, like stepping into a piece of blue willow porcelain. If he hasn't already visited, he must see the superb Chinoiserie Palace and gardens of Pilnitz on the picturesque River Elbe, just east of Dresden. I particularly like the blue designs he painted on the ceiling; one rarely sees ceiling murals nowadays, and these are superb. One can admire similar blue ones in the garden pavilions at Nymphenburg Palace in Munich, and he might find inspiration in those as well. Are those hall doors also painted by him in trompe-l'œil, so as to appear as dimensional panels? His work is a glorious antidote to all this tedious monochromatic minimalism. I am surprised he has difficulty finding materials. In my own experience, the quality of German art materials are outstanding and of infinite variety. Firms such as Pelikan and several others are world famous for superlative quality pens, brushes, inks, paints. I’d like to know Mr. Dute’s opinion on how the overdone faux marbre look of the 1980s Regan era can be made to look fresh again. Thanks so much for 'liking' MICHAEL DUTE. 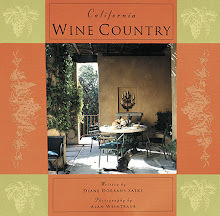 If you have any of my earlier books (starting with California Country, in which I published a wonderfully ornamented scout tent pitched beside a lake--a tent in which he spent a summer in Sonoma County working on a client's house). He studies, studies, studies all extant best Chinoiserie. Everyone's favorite. Note that he does faux marble columns...(so, yes, Square, he does love the Baroque and richly detailed marble effect...not OUT). Note that all of this is WORK IN PROGRESS and he will be painting it for two or three more years. I say, Go, Michael, rock on. Love all your comments, just wonderful. He is a rare talent. If you want to see him in California, shoot him an email...he is departing soon.